He pointed out that I was emphasizing empathizing with people with different experience and perspective, which was important enough to say explicitly before I began my talk. So with that in mind, I want to talk about a foreign perspective I encountered at my other software conference of the year. to which many people replied in various ways during the week. 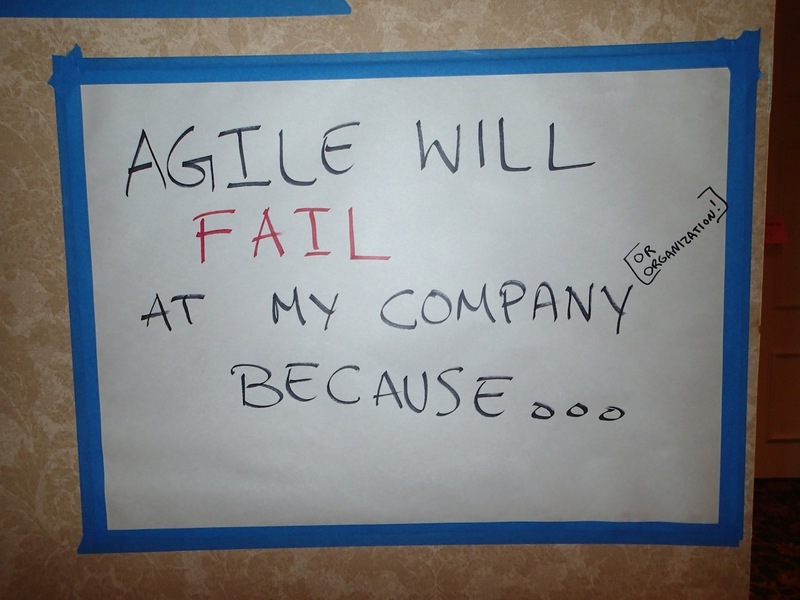 Some of these responses were rebellious, resisting the seeming prophecy of failed agile. Others felt trapped by unresponsive or rigid organization behavior and hierarchy, industry regulation, or even customers. Contributors felt that companies with only a shallow understanding of agile or simply name-only “implementation” had no real difference in the way of working. Culture weighed heavily on the minds of attendees: belief, passion, desire, emotion, infighting, courage, trust, support, motivation, thinking. So people problems were at the heart of most expectations of failure. As an organization, we know that we need to deliver value as fast as possible… but we can’t figure out how to apply the small team concepts to our particular business problems. That’s why you get the classic “agile will never work here” comments. There is an inherent disconnect between the team level guidance agile methodologies talk about and the bigger concerns your senior executives are struggling with. There is a gap between value at the team level and value at the enterprise level. Four years later, Agile2013 conference attendees are still wrestling articulating delivery of complex business objectives to business leaders. And while I also struggle with messaging how my work provides value to the enterprise, I’ve never experienced an agile transformation and so it hadn’t occurred to me to wonder whether agile could succeed. It’s always been business-as-usual, in my experience. The concept of “dedicated to one task at a time” is not supported! Because the company wears “agile” as a label and yet does nothing to remove the bureaucracy and obstacles teams face daily while trying to implement agile. … Adoption is done because of convenience not because of conviction. Response: … Just like everyone else who has done it. Deeply hierarchy…. Project leader doesn’t want Agile. 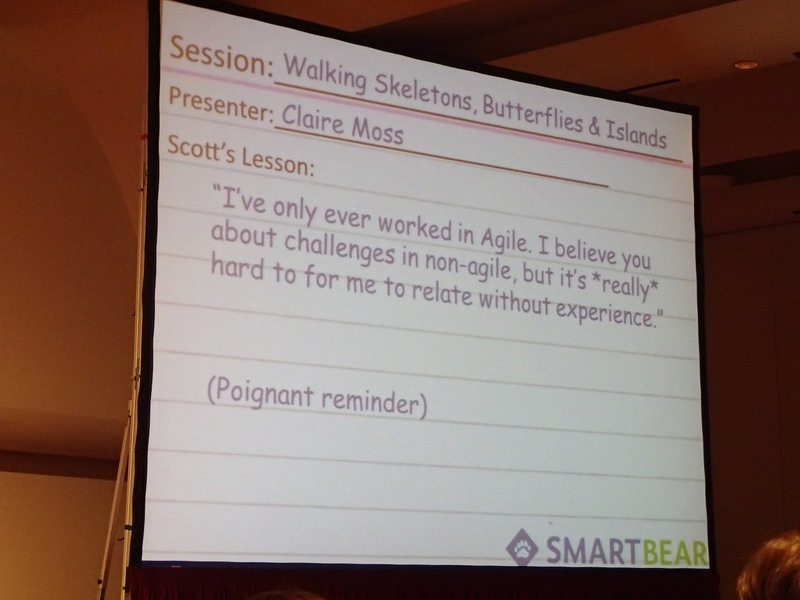 Because agile is a state of being… NOT doing! Agile is grossly misunderstood… SADLY! They don’t want to change. & no lean leadership. Too much focus on the mechanics of the process. Not enough on the motivation/passion behind it. Not everyone on our team understands it. We don’t think by ourselves. We need to think everyday, every time, everywhere!